[post_adsNorth Korea has been showering the United States and South Korea with goodwill gestures in recent months, including the shutdown of its main nuclear testing site and the release of three American detainees. But many experts say nothing it has done is consequential enough to be seen as a sign that the country is willing to fully surrender its nuclear weapons. The State Department said Pompeo is to visit North Korea from Friday in his third visit to the country in the past three months. President Donald Trump's national security adviser, John Bolton, said Sunday that Pompeo and North Korean officials will discuss a U.S. plan that would lead to the dismantling of the North's nuclear and missile programs in a year. It's unclear whether Pyongyang would agree to that. Many also question if Trump has the persistence to see through a lengthy and expensive process to eliminate the North Korean nuclear threat. After his June 12 summit with North Korean leader Kim Jong Un in Singapore, Trump tweeted that "there is no longer a nuclear threat from North Korea." But recently disclosed information has contradicted that claim. The Washington Post on Saturday cited unidentified U.S. intelligence officials as concluding that North Korea does not intend to fully surrender its nuclear stockpile. 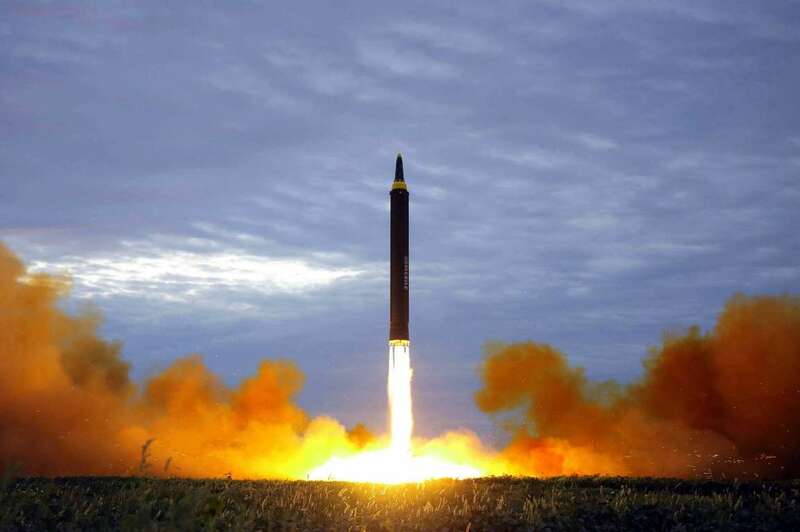 Evidence collected since the Singapore summit points to preparations to deceive the U.S. about the number of nuclear warheads in North Korea's arsenal as well as the existence of undisclosed facilities used to make fissile material for nuclear bombs, according to the report. A U.S. official told The Associated Press that the Post's report was accurate and that the assessment reflected the consistent view across U.S. government agencies. The official was not authorized to comment publicly on the matter and requested anonymity. "The expansion suggests that, despite hopes for denuclearization, Kim Jong Un is committed to increasing North Korea's stockpile of nuclear-armed missiles," Jeffrey Lewis and Dave Schmerler said. 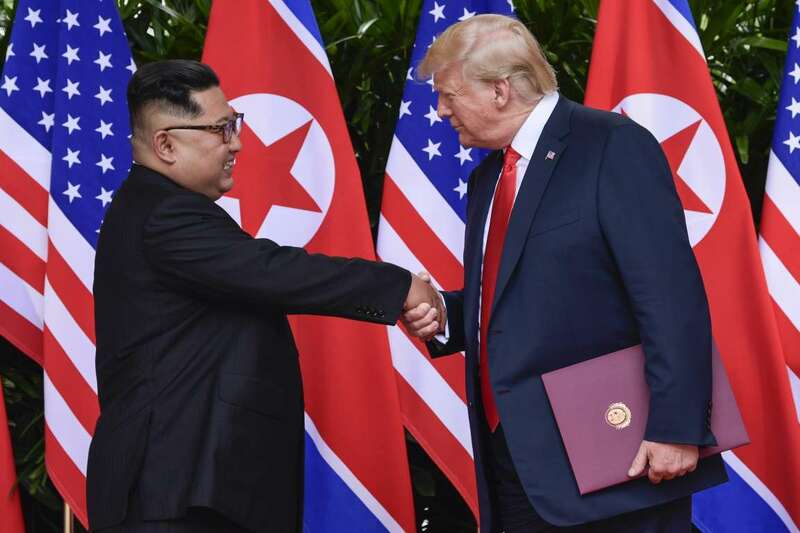 "First, they would want to say that they have lots of intelligence on North Korea and that its relations with the U.S. would go back to the past if it doesn't take practical disarmament steps," Nam said. "Secondly, they likely targeted (Trump), asking if he was deceived by North Korea because no progress has been reported in the three weeks after the summit." Analyst Hong Min at Seoul's Korea Institute for National Unification downplayed the significance of the new disclosures, saying Pyongyang and Washington haven't yet agreed on detailed disarmament steps the North is obliged to take. During the Singapore summit, Kim repeated his vague pledge to work toward the "complete denuclearization of the Korean Peninsula." In return, Trump promised to give Kim security assurances and announced the suspension of military drills with South Korea, drawing criticism that he made too many concessions. Others say Pompeo should aim higher and get North Korea to commit to specific disarmament timetables and a "frontloaded" abandonment of its nuclear weapons and materials at an early stage. This would be something of a reversal of a normal denuclearization process in which inspections of nuclear facilities and sites come before a verifiable dismantling of nuclear assets. It remains to be seen how far Kim would go in rolling back his nuclear program, which he may see as a stronger guarantee of his survival than whatever security assurances Washington could provide. Some experts think Kim is modeling his country's nuclear future after Pakistan, which began building a nuclear arsenal in the 1990s to deter India and is now estimated to have more than 100 warheads that are deliverable by short- and medium-range weapons and aircraft. While Kim may seek to turn his finished weapons into security and economic benefits, in any agreement he will also attempt to retain enough of his manufacturing and research capabilities to allow for a quick resumption of his nuclear weapons program in case diplomacy falls apart, said Hwang Ildo, a professor at Seoul's Korea National Diplomatic Academy. Others think Kim might try to drag out the process and wait out the Trump administration, which last year had provided a credible threat of military force against the North. A bad outcome for South Korea and Japan would be Trump agreeing to a deal that removes North Korea's long-range missiles that pose a direct threat to continental United States, but leaves Kim's shorter arsenal mostly intact. This would put South Korea's security and its alliance with the United States "at a crossroads between life and death," said Kim Taewoo, a former president of the Korea Institute of National Unification.